The ultimate always on overdrive! 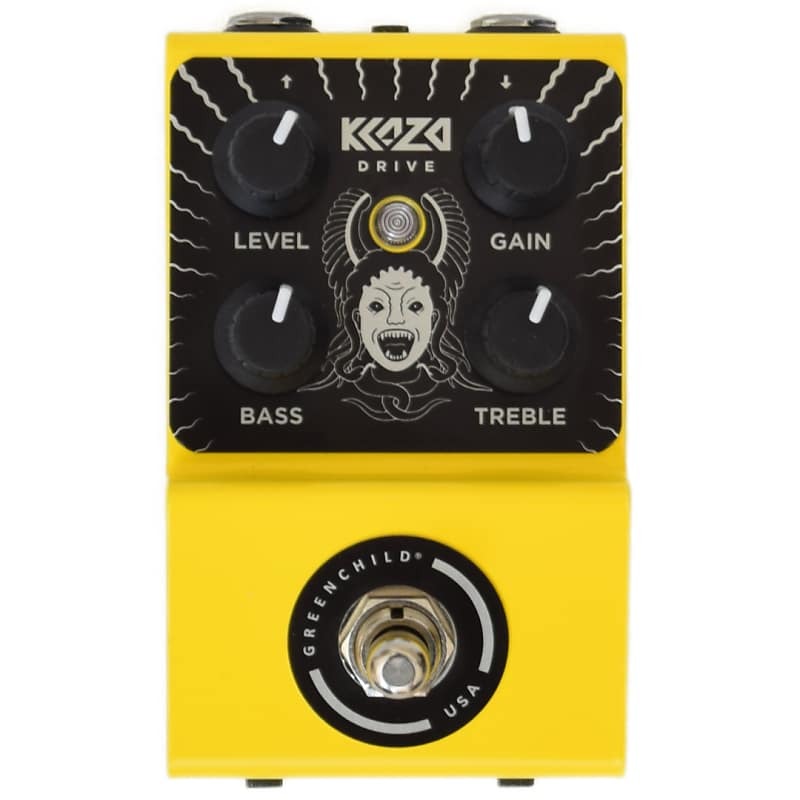 Klazo drive employs a unique current driven transconductance amplifier topology with floating diodes to deliver musical signal clipping across the entire frequency spectrum. 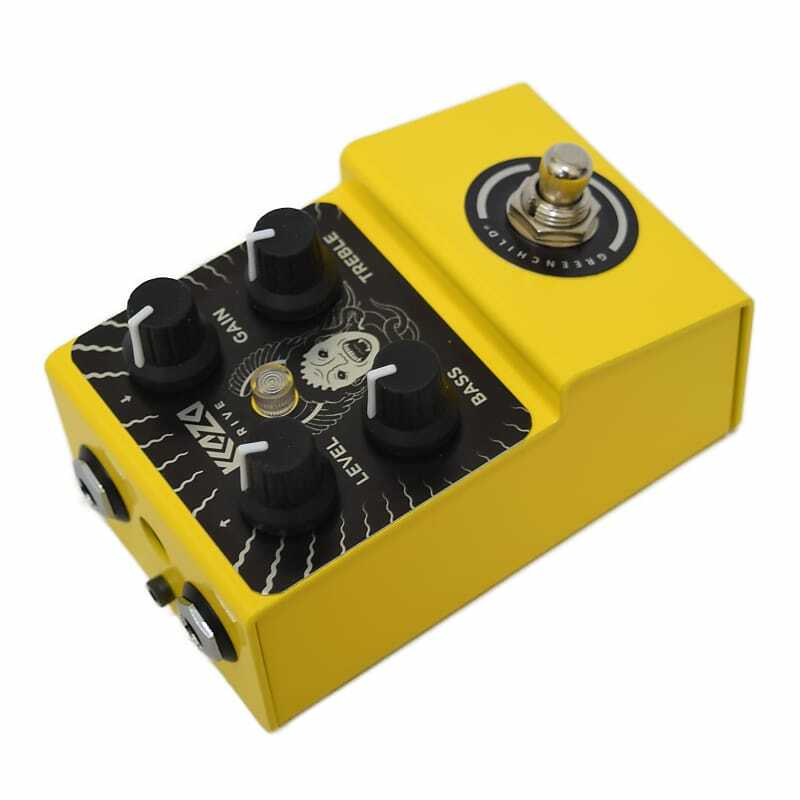 Klazo is a dynamic, transparent overdrive with an eminantly useful tone stack. 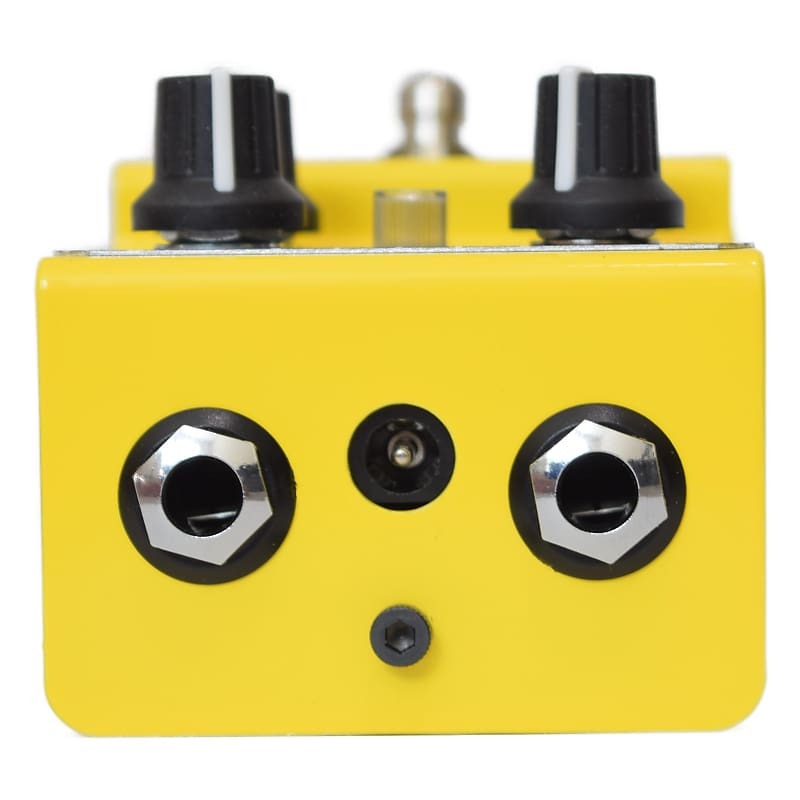 This overdrive will sit well at any point in your signal chain. She is most notably designed to be driven hard by other pedals, although she also employs an active volume boost that will drive your amp into glorious saturation. Experiment to suite your taste! 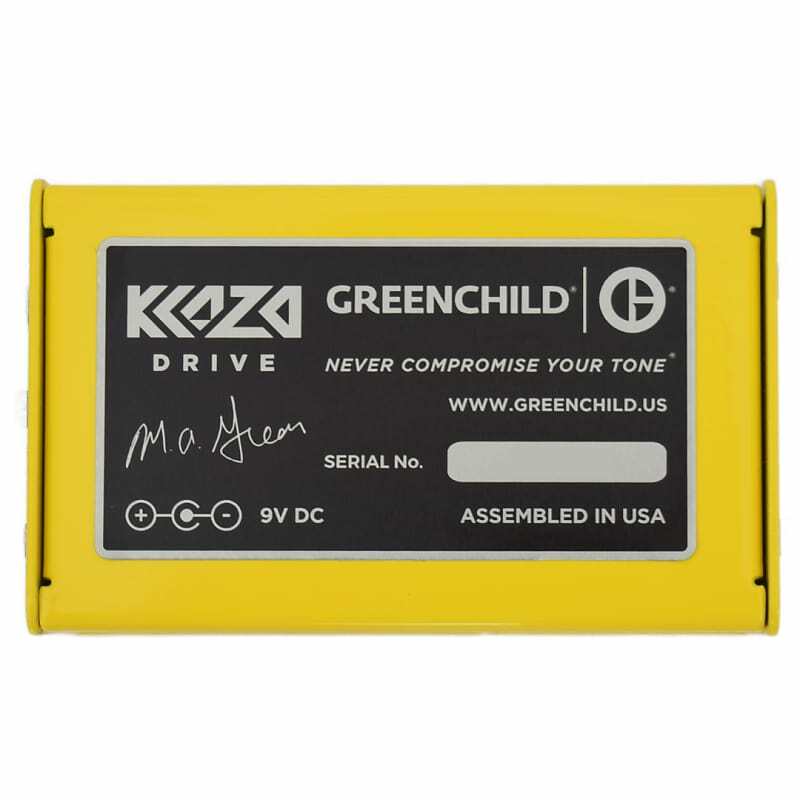 Greenchild gear is designed with premium, audio-grade components and meticulous attention to detail. Our pedals will serve as valuable tools in your tone arsenal for many years to come. Semper utilis! True bypass. Solid steel enclosure. *Power adapter and batteries not included.